Typically the prognosis for anyone undergoing a routine form of surgery is good to excellent. And certainly a tonsillectomy would fall into the category of one of the most routine of surgeries. That’s why Bay Area personal injury attorney Gregory J. Brod is as shocked as the rest of the community and the nation over the tragic case of a teenager in Oakland who is now clinically brain dead after having her tonsils removed. According to the San Jose Mercury News, Jahi McMath, 13, checked into Children’s Hospital Oakland for tonsil surgery on Dec. 9. McMath suffered from sleep apnea, which is a potentially serious sleep disorder in which the afflicted person’s breathing is repeatedly interrupted during sleep, and her doctors felt that removal of her tonsils would help alleviate the sleep apnea. Just after her surgery, McMath seemed healthy and alert, but later that evening she began to bleed and then she went into cardiac arrest. After experiencing a massive swelling in her brain, McMath was pronounced brain dead three days after the operation. Tests conducted since the operation have shown no brain activity. McMath’s family has sought to keep her on life support, but her mother said that staff at the hospital had been pressuring her to sign paperwork to take McMath off life support and release her body to the Alameda County coroner’s office. In response, the McMath family attorney has delivered a cease-and-desist letter to officials at the hospital to keep the teenager alive. Children’s Hospital Oakland officials decline to discuss the specifics of the case, claiming that the family has denied them permission to speak on the matter. 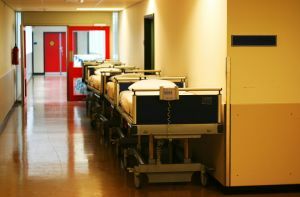 As is the case in such situations, privacy laws forbid a hospital from releasing information concerning a patient’s condition or care without his or her consent. Meanwhile, the McMath family understandably has maintained a vigil for their stricken teenager. And the family had been touched by the outpouring of support from strangers. Indeed, many are praying for her recovery, and news of her condition has spread around the world. McMath’s story has resonated on social media, where there has been an upwelling of support for the family. For their part, the family is appreciative of the support and maintains hope that McMath will recover. Words can not begin to express the shock and sadness one feels in a tragic situation such as the one Jahi McMath is in, and our hearts go out to her family. Even in the face of the terrible emotional toll such tragedies take on the family, it is imperative for those concerned to get legal counsel as soon as possible. If you or a loved one has been harmed while getting medical treatment, please contact the experienced attorneys at the Brod Law Firm for a free consultation.